Golden Gate Park's Conservatory of Flowers. 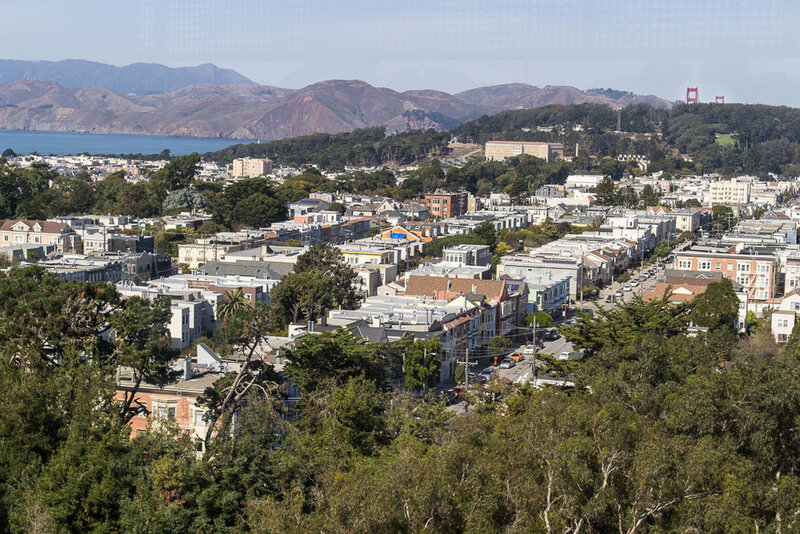 Golden Gate Park stretches across the city of San Francisco for over 3 miles and over 1000 acres of public land. It's an oasis within the bustling city and has enough attractions and activities for anyone to experience. I've lived in San Francisco for over 5 years and am still amazed at all there is to see! The months of September and October are always the warmest in San Francisco, so now is the perfect time to visit. I'm lucky enough to live within walking distance of the park, so have the luxury of strolling over and making a last minute decision about what to do. However, if you are visiting from out of town, I would suggest a little advanced planning to make sure any necessary tickets are purchased and that a destination is mapped out as it is impossible to see everything in a day. In this post, I'm sharing Two Blue Passport's top 5 things to do in San Francisco's Golden Gate Park. I hope that it inspires you to plan your own visit! The view from Hamon Tower in the de Young Museum. On a clear day like this you can spot the Golden Gate Bridge! Golden Gate Park's de Young Museum. The de Young Museum is one of the Fine Arts Museums in San Francisco. It houses a permanent collection of art and photography as well as rotating exhibits. My favorite exhibit there was Keith Haring’s Political Line back in 2015. If you love exploring art when you’re visiting a new city, I highly recommend the de Young museum. 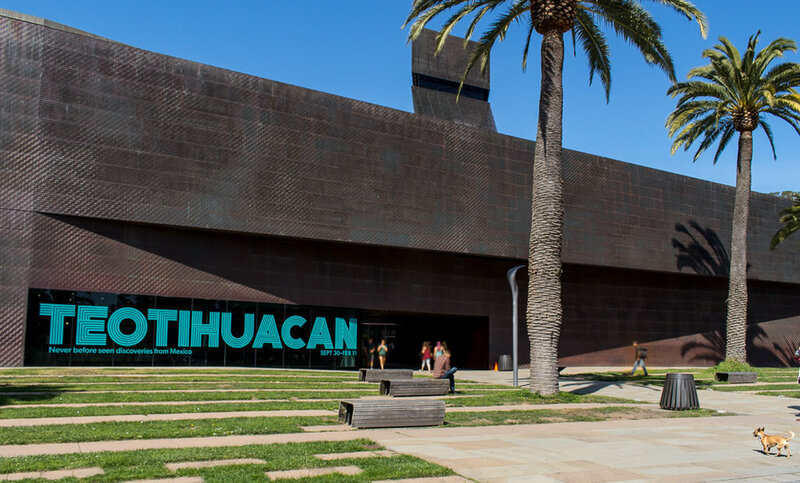 The architecture of the building itself is a masterpiece and with the rotating exhibits, you’re sure to experience something you haven’t seen before. Tickets to the museum cost $15 for adults and are free for children, however, there is often a separate admission for the temporary exhibits. For example, the Teotihuacan; City of Water, City of Fire exhibit costs $28 for adults and $13 for children. There are discounts for seniors and students with IDs. If you decide not to visit the museum, I still recommend taking a quick detour inside the building to the Hamon Observation Tower. Through the entrance and across the right side of the lobby, an elevator takes you to the 9th floor. When you walk out, you’ll be greeted with a 360 degree view of the entire city and guess what - it’s completely free of charge! This is the view of the Academy of Sciences from the Hamon Tower at the de Young. California Academy of Sciences is my favorite place in Golden Gate Park because it brings the kid out in me. It is an aquarium, a planetarium, and a living rainforest all in one and also has interactive exhibits such as a “shake house” that simulates legendary San Francisco earthquakes. While the museum is very family friendly and usually bustling with exciting children, I also find it very enjoyable as an adult. The rainforest is a self-contained, living ecosystem with an expansive population of butterflies that soar above the canopy. There is nothing more relaxing than strolling through the indoor trees and watching the butterflies chase one another. I also love Claude, a rare albino alligator that was unable to survive in the wild considering his pale skin and poor eyesight. He can be seen from both the floor level and the aquarium level of the academy. Tickets to the museum cost $36 for adults and between $26-31 for children and youth. There are also discounts for seniors and students. If you’re over 21, you can also visit on Thursday night for Cal Academy Nightlife, when a few bars and live music are thrown into the fun. Tickets to nightlife are only $15 and you can purchase drinks inside while you dance in front of the jellyfish. Standing outside the gate at Golden Gate Park's Japanese Tea Garden. Golden Gate Park’s Japanese Tea Garden is the oldest public Japanese garden in the United States and spans three acres of the park. The garden was built in 1894 as part of the World's Fair just as many other iconic structures around the world have been (for example, the Eiffel Tower). The garden has a traditional tea house overlooking a pond where you can sip on a delicious matcha and order snacks. There are several winding paths in the garden that lead to a buddhist shrine called the “Treasure Tower” pagoda as well as number of Japanese plants and trees. My favorite structure in the tea garden is the Drum bridge (also called a Moon Bridge). Ticket prices vary depending on one's age and are discounted for San Francisco residents, but admission is free on Monday and Wednesday before 10am. I highly recommend spending an hour or so exploring the garden and walking across the magical drum bridge. @maxtheterrier running up the stairs to Golden Gate Park's Conservatory of Flowers. The Conservatory of Flowers in Golden Gate Park is a large victorian-style greenhouse overflowing with plant life. This place has the most beautiful flowers, rare plants and even giant-sized lily pads. The Conservatory hosts incredible events throughout the year. For example, all summer there has been a “Botanicals and Brews Beer Garden” after hours event in partnership with local breweries. General hours and ticket prices can be found here. Even if you decide not to enter the conservatory, the landscaping around the building is gorgeous and worth a stroll through. Sitting at the bank of Stow Lake. There are 10 lakes in Golden Gate Park but Stow Lake is by far my favorite. Stow Lake is a must-see for anyone in the park, whether you’re just stopping by for lunch or taking a paddle boat out on the water. The boathouse is open from 10am-4pm daily and offers boat and bike rentals as well as snack and drinks. Take a stroll around the lake, skip some rocks and enjoy the outdoors. If you’re not able to visit during the day, you can also attend concerts in the boathouse through Airbnb experiences. >While the park is over 1,000 acres, a lot of the best attractions are in one area. Use the map below to help you figure out which entrance makes the most sense for where you want to go! >In order to cover more ground, rent a bike! You can get a 20% discount if you rent online from San Francisco Bicycle Rentals. >There are food trucks in the park as well as dining options such as the de Young Cafe and the Stow Lake Boathouse. If you'd rather eat outside of the park, I've added a few of my favorite restaurants to the map below. Hook Fish Co is a brand new spot near the far end of the park by Ocean Beach and I tried it a few weeks ago. I was blown away by the menu and highly recommend eating there! >San Francisco weather is fickle, so you'll want to wear layers when you're outside for a long period of time. Even if the sun is out, bring a sweater. >If you're in the mood to relax instead of explore museums, Golden Gate Park is still a great place to have a picnic. Bring a blanket to the park and read your favorite book. My favorite place to picnic in the park are the grounds around the Conservatory of Flowers and by Stow Lake. >Just a note here - Golden Gate Park is not connected to the Golden Gate Bridge. The only way you'll see the Golden Gate Bridge from the park is from Hamon Tower. Do you have questions or want to share your own favorite spots in Golden Gate Park? Leave us a comment below!